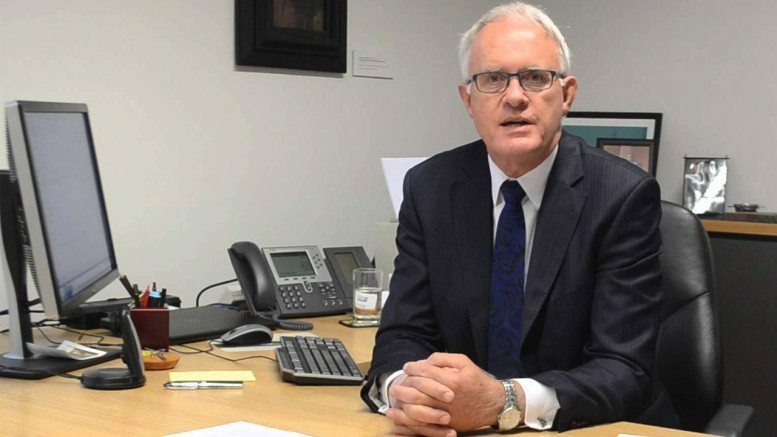 University of Auckland Vice Chancellor, Professor Stuart McCutcheon, has written an apology to those who complained about Professor Scott Poynting’s letter to the Waikato Times of November last year. Poynting, a Professor of Sociology and a self-professed expert in hate crime and islamophobia, wrote a letter equating a SodaStream factory in the West Bank that employed Palestinians with a German company (IG Farben) that used the slave labour of Jewish concentration camp inmates during the Second World War to produce the gas Zyklon-B used in gas chambers. Tens of thousands were worked to death by IG Farben. Comparing Israel with Nazis is recognised as anti-Semitism by the US State Department as well as many other commentators. It has nothing to do with legitimate and necessary criticism of Israel and everything to do with a false analogy aimed at delegitimising and demonising it and its people. So too is drawing a parallel between Palestinians willingly employed in good conditions and paid well above the average wage (by their own account) and slave labour that resulted directly and indirectly in death. This is an absurd, grotesque distortion and a modern day blood libel. One can only assume, given the “expertise” of its propagator (and his subsequent behaviour as outlined below), it was intended to cause maximum offence to Jews and mislead other readers. Faced with similar anti-Semitic comments from staff, other Universities have moved quickly to distance themselves while undertaking the necessary investigations. The Vice-Chancellor of Notre Dame University in Fremantle, for example, issued a public apology within one week of Dr Sandra Nasr’s anti-Semitic blog post. This “speedy and proper response” was not emulated by the University of Auckland in the case of Poynting. Professor of History, Paul Moon, at AUT University, highlighted Poynting’s hypocrisy and anti-Semitism while the University of Auckland remained silent. It should not be a staff member from a different university that speaks out first. During an investigation by the University of Auckland, Poynting acknowledged that the letter was ill-considered and stated that it was never his intention to appear as anti-Semitic. However, according to the Vice Chancellor’s letter, when the investigation concluded and recommended that Prof Poynting publicly explain that he did not intend to cause offense, Poynting refused to do so, despite repeated requests from the Dean of Arts. How ironic that, in October 2014, Poynting wrote “Letters and often opinion columns in major newspapers continue to propagate the usual prejudices … with barely any attempts made to challenge these”, and now the professor refuses to apologise for his own propagation of the oldest prejudice. Neither Dr Nasr nor Professor Poynting were found to have breached their employment contracts and freedom of speech was used as a defence for their comments. Freedom of speech is a most important aspect of our society, especially in our universities. While academics are free to publicly breach basic standards of reason and decency within the bounds of the law, so too are university managers free to publicly defend the reputation of their institutions. The difference between the University of Auckland and Notre Dame University in this respect could not be clearer. Further, the fact that a Professor (whose salary is paid for by taxpayers) can be found so egregiously wanting, ignorant, and irrational in his apparent area of expertise should be of great concern to his employer and the general public. Tertiary Education Union president and Academic Freedom Aotearoa spokesperson, Sandra Grey, disagrees. She said “He wasn’t speaking as an academic” and so his letter should not be considered a work-related matter. Professor McCutcheon’s apology letter ended by stating that Poynting would not be employed by the University of Auckland after June and his out-of-office email states he is on study and research leave until then. While it is comforting to know that Poynting will not be influencing young minds in Auckland, we also would have hoped that the University of Auckland would have taken a more public stand against his hate.